Sorry in advance if you're one of those people that can't mention the 'C' word before the start of December, but I'm already really looking forward to Christmas. The shops are starting to fill up with decorations and gifts, and markets are starting to pop up in parks and squares around London. 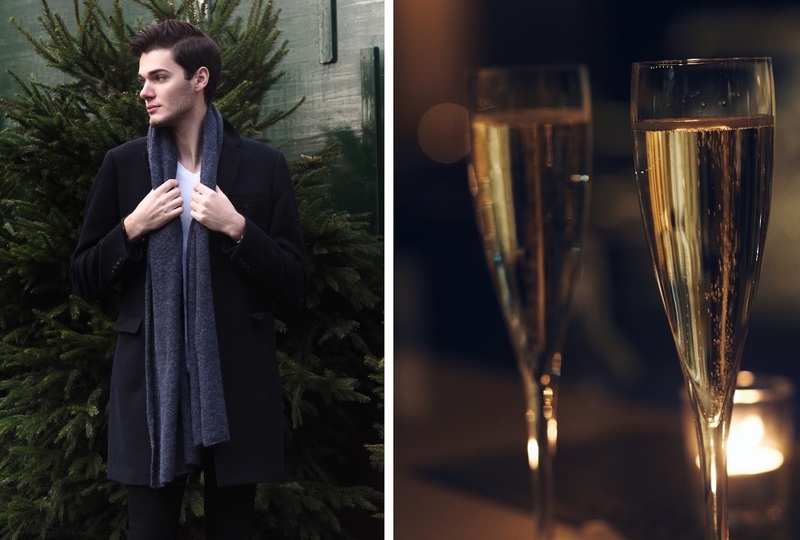 it's already the middle of November which means only six weeks until the big day, so I thought I'd get you in the festive mood with a few gift ideas and outfit picks from Jack Wills to help see you through the build up. When I was younger I used to love shopping at Jack Wills each Christmas as I feel they offer some of the best winter wear options out there. From classic cable knitted sweaters, to season flannels and overcoats they offer a winter wardrobe and Christmas gifts for men, to suit most tastes. This coat and scarf paring, make for the perfect outfit for any occasion this season. Whether it's heading around town to start your Christmas shopping or heading for a few drinks with friends. The classic cut and clean look with give you that effortless style whilst keeping you warm. If smart overcoats aren't you're thing, they also offer some great casual jackets as well. I have a black parka jacket from last year's range and love it! It's down-filled and keeps me warm on the coldest of days. it's also so easy to layer up and throw on over any outfit. The fur hood also has that touch of luxury as the super-soft feel makes it even more cosy and perfect for the Christmas period. If you're after smaller items instead of clothing, they also have a wide range of gift sets available like this grooming set - something every guy should own. If you've been following my blog for a while you'll know how I go on about how every guy should take pride in their grooming routine and how it's become the norm for us guys to spend that extra few minutes each day looking after ourselves. Maybe it's time to drop the subtle hint to your dad that he needs a freshen up and get him one of these for Christmas day? For me, Christmas is about spending time with family and getting cosy at home. I love getting new winter-warmers each year and wrapping up. New PJs never go a miss on Christmas morning so check out the seasonal flannel bottoms and hoodies for those movie nights on the sofa, when you're sat sipping hot chocolate. I feel it's never too early to get excited and in the mood for the holiday season as I love the lead up and everything that comes with it. Whether its strolling around Christmas stalls, heading to pick up your Christmas tree or simply spending time with loved ones - it definitely is the most wonderful time of the year.